The Mayor’s Gang Prevention Task Force held its fifth annual community summit Saturday, and more than a hundred San Jose residents were in attendance. This task force started in 1993, spanning the terms of three mayors, three district attorneys and five police chiefs. The Department of Justice believes that the Mayor’s Gang Prevention Task Force is a model to be emulated by other cities across the USA. The summit had four different breakout sessions. I attended the following three: promoting Neighborhood Watch programs, recognizing distinguishing characteristics of different gangs, and gang exiting strategies from a female, Latina perspective. For me, much of the information presented at the meeting served as an unfortunate reminder of the havoc gangs create in our communities. From youth violence and drug trafficking to prostitution and other forms of organized crime, gangs represent one of the single most detrimental forces in society. Gangs rob individuals of their personal freedoms and introduce unwelcome violence into our neighborhoods. Organized crime impedes the legitimate economic activity that allows communities to prosper. This much I already knew. What I was surprised to learn is that gangs use social media in a very effective fashion, sharing information and communicating across platforms, such as Facebook, with affiliates in different cities. This expanded reach ensures that gang-related activity does not stop at neighborhood, state or country lines. Indeed, countries and cities throughout the world struggle with this challenge. But the fact remains: Gangs are more organized now than ever before, and we must be organized in our efforts to curb their expansion and appeal. To this end, I am hoping residents will join city officials in recommitting to crime prevention practices. 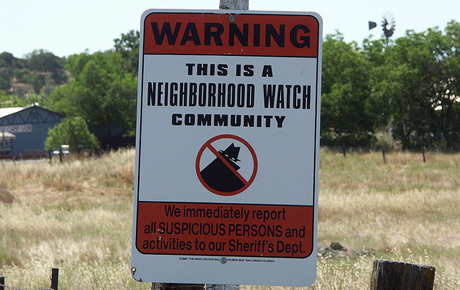 This includes watching out for and reporting suspicious behavior, block by block, via the Neighborhood Watch program. For its part, the city will continue the good work currently underway by the Mayor’s Gang Prevention Task Force, including but not limited to community engagement and youth intervention programs. In addition, we should prioritize filling existing vacancies in the police department to augment gang suppression efforts. The sad truth of the matter is that gangs will never disappear entirely, even from the most vigilant and proactive of communities. A city can never have complete control over the unpredictable nature of select deviants, or be held responsible for the unfortunate choices these individuals sometimes make. Fortunately, we have many hardworking and sincere people in San Jose who are doing their best to prevent young people from making choices that may lead to a life spent in and out of jail. This gives me hope, because—given the opportunity—I feel that most youth will see the wisdom in choosing the path of non-violence. For those of you who were unable to attend the summit and want to learn more, click here.